As the student’s academic background and the required expertise for their research differ, the curriculum is designed according to each student’s interests and research subject. Student study plans are continuously and systematically reviewed during the 5-year course with guidance from multiple faculty members. 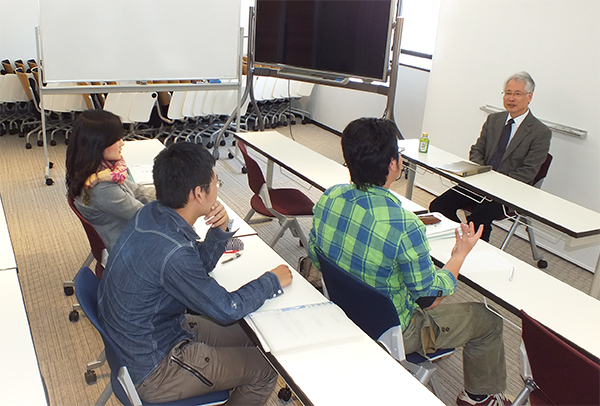 Students can also take specialized courses offered by other graduate schools in Kyoto University. 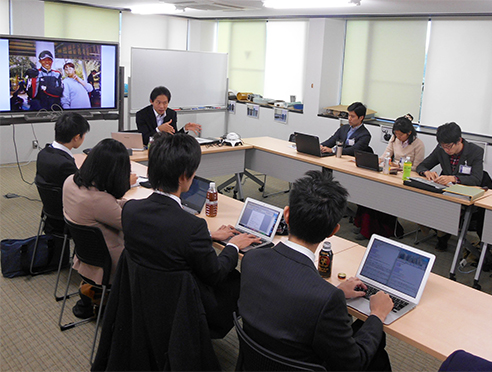 Interactive education and research through dialogue is the tradition of Kyoto University. 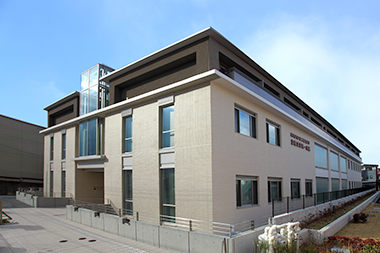 To implement this tradition, the Graduate School of Advanced Integrated Studies in Human Survivability (Shishu-Kan) has its own student house. It is a place where students can concentrate on their studies, interact with other students, and attend special lectures and discussions on leadership (jukugi). Once the students enter the student house , they spend five years living together in a community consisting of students from different cultures and different fields of study, and through interaction and exchange of dialogue, they accumulate knowledge from each other. 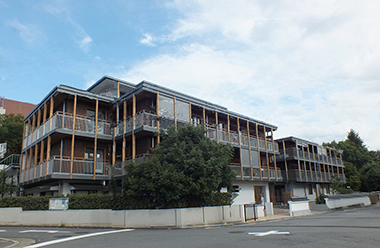 The student house consists of three facilities in the Kyoto University Yoshida Campus. The First Residential College (Koshibo) and the Second Residential College (Sentetsubo) are located near the Faculty of Medicine Campus, and the third facility is on the third floor of Higashi Ichijokan. Students can experience , as a part of their daily life, the arts and traditions that have been cultivated in and inherited by Kyoto, the cultural center of Japan. 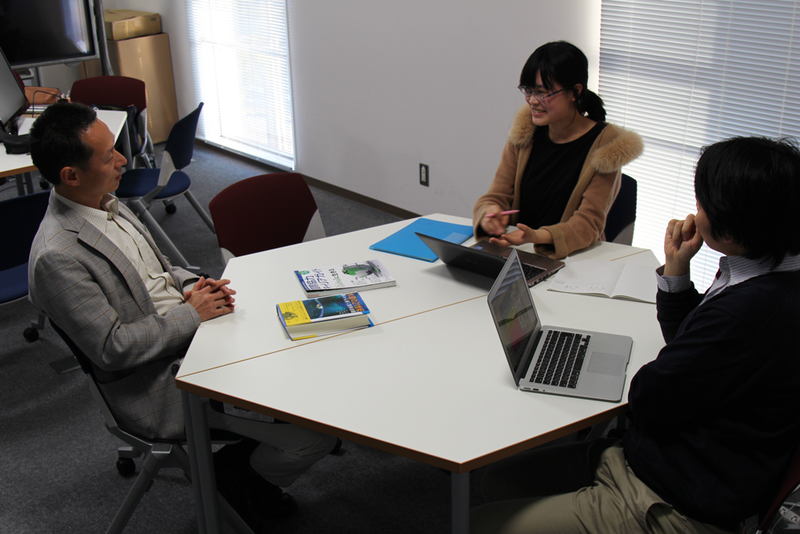 To learn the fundamentals of various fields and the methodology of practical problem-solving from a broad perspective, a Multiple Supervisor System is adopted with the cooperation of the faculty members of other department’s research institutes in Kyoto University. 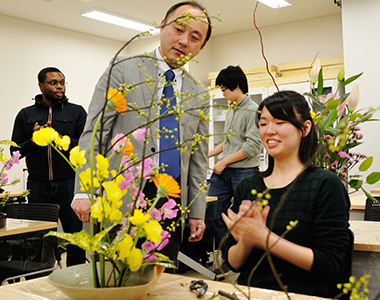 When a student is admitted, a supervisor is allocated from the full-time faculty members of the Shishu-Kan, taking into consideration the student’s aspirations and specialized areas of study. In consultation with this supervisor, the need for another research supervisor in a specific field from other departments is considered. Furthermore, at Shishu-Kan, there are several trans-disciplinary composite research groups that deal with diverse social issues. 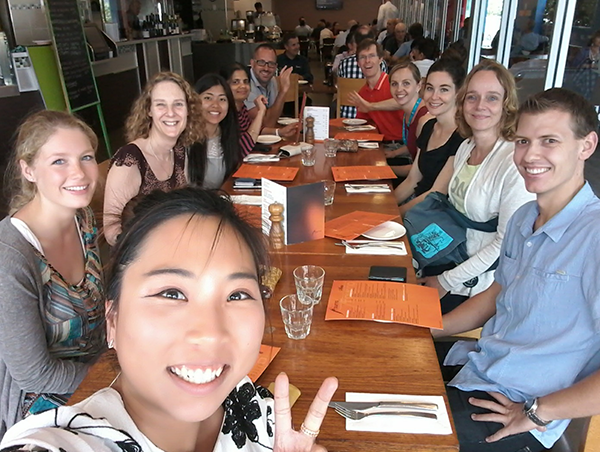 Students can participate in multiple research groups depending on their interests and can gain a wide range of learning through exchange with various researchers and students from different disciplines, in addition to their supervisor. Please see ＜here＞ for composite research groups. All the students complete service learning during the first two years. Service learning is conducted with the cooperation of external institutions such as welfare facilities. The aim of service learning is to nurture a mindset for leaders with moral, compassion, and responsibility through practical learning in the local community. 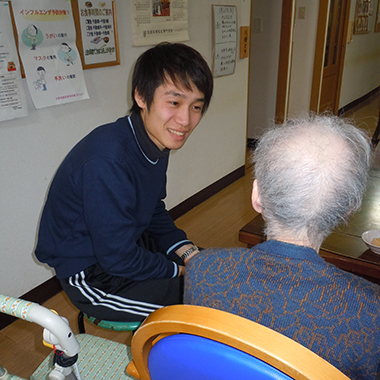 Most of the students take service learning conducted with partner institutions in and around Kyoto. 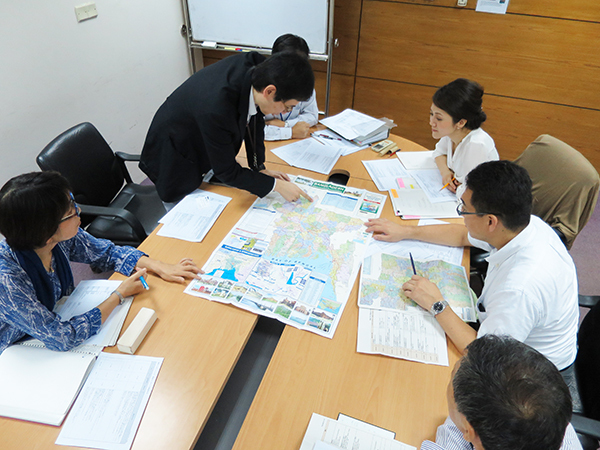 Activities outside Japan must be arranged by the student, and may be approved as upon examination. Jukugi is a series of seminars held during the first and second year, in which extensive discussions are conducted with top leaders, active in various sectors of society. Through deliberation on various global issues, a profound awareness and in-depth pursuit of issues is nurtured. External lecturers are invited from international institutions, government agencies, corporations, and NGOs as specially appointed faculty of the Graduate School of Advanced Integrated Studies in Human Survivability. Please see ＜here＞ for lecturers in charge of jukugi. 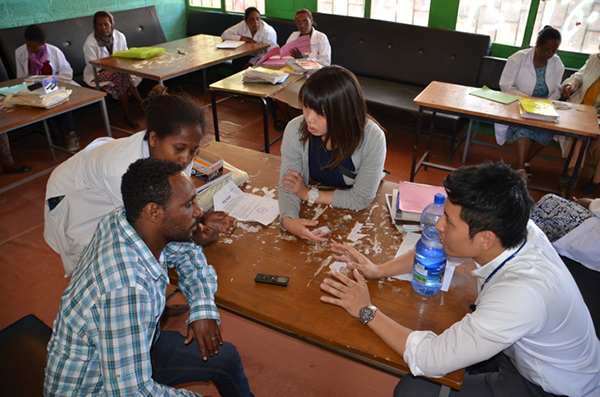 The General Foundation Courses are composed of eight fields of study, called hasshi (eight thoughts). This supports a thorough perspective on various fields of study and the ability to integrate them, as well as fosters the foundations for working in international and intercultural circumstances. Hasshi consists of the fields of; humanities and philosophy, economics and management, law and politics, language, science and engineering, medicine and life, information and environment, and art. Students enroll in lectures after discussing with their supervisors and selecting lectures from seven fields of study other than those closest to their specialized field of study. An international practical education is imposed in the fourth and fifth year, in the form of an “overseas internship” to acquire knowledge and experience that can be effectively used in areas where social problems arise. The aim is to promote students awareness and knowledge of global issues, a sense of responsibility, practical skills, and leadership in an actual filed. 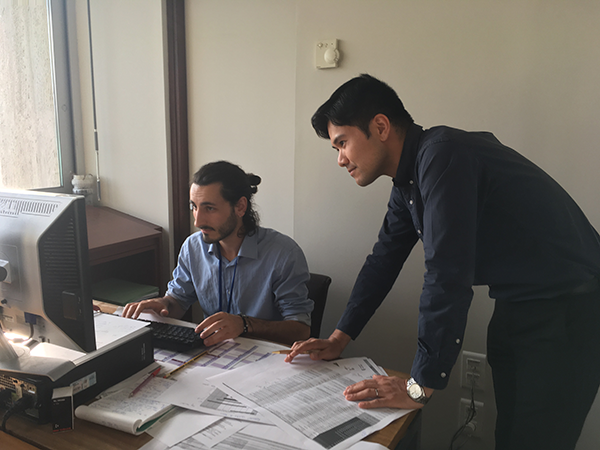 Each student is required to find institutions for their overseas internship, in accordance with their interests, and negotiate for an internship, with support from their supervisors and Shishu-Kan. The supervisors also maintain frequent contact during the internship through email and internet conferencing and, if required, make visits to provide guidance. Students are encouraged to obtain funding for the internship on their own, but in case it is not obtained, the university can also assists with travel expenses and certain expenses necessary for their stay. 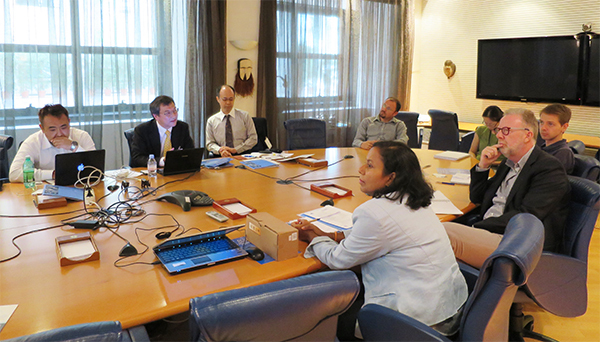 Examples of previous destinations include international organizations such as the United Nations, IEA, and OECD as well as companies and NGOs. In principle, the internship must be conducted in an overseas institution, but internships within Japan may also be approved for the non-Japanese students. Project-based research (PBR) is the final compilation of the five years of research and course work. Each student makes their own project plan to implement their research in society by involving collaborators from industrial and governmental sectors. The aim of PBR is to experience the whole process of problem-solving in actual situations and thus acquire the ability to plan and execute, negotiate, and integrate a variety of knowledge. During PBR, students independently demonstrate leadership and work together with their collaborators to raise necessary funding, procure personnel to execute tasks, coordinate with various related parties, and conduct legal and managerial work. The results of PBR are incorporated into doctoral dissertations as an important part of study in the Graduate School of Advanced Integrated Studies in Human Survivability, in which the importance of social implementation is emphasized. Distinguished guest speakers actively involved in the United Nations, international organizations, and governmental agencies are invited to give seminars in light of their own experiences. The purpose of this study is to foster the student’s understanding and acquisition of the knowledge and network necessary to build a global career.